Last night’s ceremony at London’s Lancaster House brought to a fantastic conclusion the 12th cycle of our annual Civil Service Awards. For me, as Head of the Civil Service, the awards ceremony is one of the highlights of the year. It is perhaps the only time in the calendar when we allow ourselves to celebrate the extraordinary work of ordinary civil servants, their achievements and commitment to excellence and innovation in the service of government and the public – our ‘showbiz night’. We don’t do it lightly, but we should do it more often; and have greater belief in our ability to produce outstanding results for the people of this country. At no time in our recent history has this self-belief been more necessary. A confident Civil Service can only be a more effective Civil Service. Again, this year, the evidence of the awards strengthens my own confidence in our ability to rise to the big challenges we face – including supporting a successful negotiation of the UK’s exit from the European Union and establishing a new global role for the country. 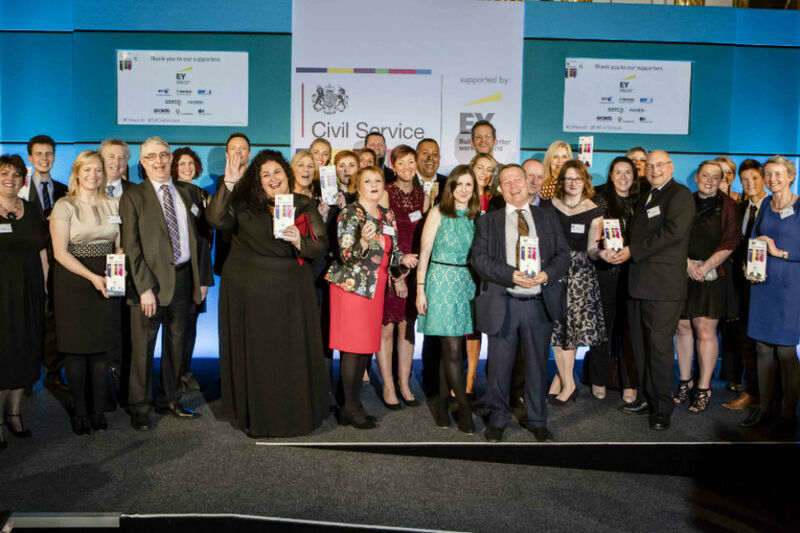 The 15 award categories reflect the unrivalled range of what you do as civil servants every day. 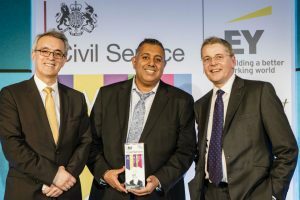 From customer service to communication, from commercial negotiation to digital design and delivery, from project management to diversity and inclusion, the Civil Service reaches into every aspect of the life of this country, with a relentless focus on improving the services that people use and rely on. Anne Cook, of the Scottish Government, who has been at the forefront of promoting the rights of social housing tenants for 15 years, involved in projects that helped to improve services for 610,000 tenants. Collaboration Award: Project Delivery Team for HM Prison Berwyn, Ministry of Justice. They led the redevelopment of a former factory site in Wrexham to create the first prison for North Wales, bringing employment, economic and educational benefits to the community. Commercial Award: Waste Procurement Programme Office, Welsh Government. By bringing local authorities together they have created forecast savings of £525 million for the public sector in Wales over 25 years, while delivering waste treatment facilities that will provide electricity output sufficient to power 95,000 homes. Customer Service Award: Benefit Cap Team Northern Ireland, Department for Communities and Local Government. They implemented with sensitivity and accuracy a process involving detailed planning, new ways of working and close collaboration with multiple partners and stakeholders, as well as the 55,400 working households potentially affected by the benefit income cap. Digital Award: Alison Whitney, the visionary behind the new and internationally admired National Cyber Security Centre at GCHQ. Innovation Award: Frontier Technology Livestreaming, Department for International Development. This team are enabling DfID to explore how 3D printing, the internet of things, drones and other emerging technologies can help tackle development challenges like connectivity, health, humanitarian response and production – the sort of future tech application that will sustain a brilliant Civil Service. Use of Evidence Award: Scottish Index of Multiple Deprivation (SIMD), Scottish Government. The SIMD team have transformed their statistics to be more accessible, transparent, relevant and useful to the very communities described by their data, which compares socio-economic conditions and identifies Scotland’s deprived places. Inspirational Leadership Award: Sally Taylor, DfID, whose example, tireless enthusiasm and ability to motivate a team were central to the cross-government response to the Ebola crisis in Sierra Leone. Volunteering Award: Sarah Morton, Department for Work and Pensions. Sarah, a Personal Independence Payment case manager, epitomises the very best of what the Civil Service stands for in her support for some of the most vulnerable people in society. She dedicates her own time to building support for homeless charity the Hope Project, making sure that the most basic needs of people living on the streets of Liverpool are met with care and compassion. Realising our ambition to be the UK’s most inclusive employer by 2020 is one of my top priorities. So I was particularly pleased to have the opportunity to personally present the Diversity and Inclusion Award to Kulvinder Bassi, of the Department for Transport. Kulvinder has built membership of the Positive Support Group to nearly 80% of DfT’s ethnic minority workforce, and has been instrumental in creating an effective programme of support for members' career aspirations. As all these examples show, the nominations for this year’s awards were well up to the standards of previous years. Choosing the shortlist, let alone the winning entries, was no easy task for the judging panel. So, in applauding the exceptional qualities of the winners, I take huge pride in the levels of excellence, commitment and willingness to try new things that they represent across the organisation. In that sense, they are awards for the whole Civil Service. Can I enter myself, as I have been thanked for good work by Air Commodore. Congratulations to all the winners. Is there any possibility that the event could be hosted somewhere other than London, maybe on a rolling programme throughout the regions. An excellent suggestion Dianne! 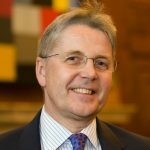 Particularly relevant since the Civil Service has recognised the need to be a more inclusive employer.